New clues offer more questions than answers. Earlier this week, we reported on an endlessly creepy puzzle video that was confounding and unsettling everyone who watched it. In the days since, the story has grown far stranger—but the identity of the person responsible for the threatening messages remains as clouded as ever. The video, which spread quickly across YouTube and was allegedly discovered on a DVD on a park bench in Spain, contains a seemingly endless number of puzzles, both obvious and obscure. Numerous interested parties have been working to unearth the mysteries held within, and several bits of new information have emerged. Perhaps most disturbing revelation of all is that the Morse code puzzle, which was translated into “RED LIPSLIKE TENTH,” has been discovered to be an anagram of “KILL THE PRESIDENT.” This, coupled with the previously discovered hidden GPS coordinates of the White House, paints a vivid threat. The disturbing video clip hid images in its audio track that could only be decoded with advanced software. The photos, which included a woman being strangled, a disemboweled body, and other graphic scenes, have been traced to various sources on the Internet. 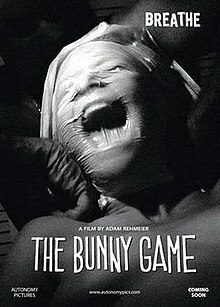 One of the embedded photos is from a horror movie called The Bunny Game, another is from a German film called Slasher, and a third is an actual crime-scene photo showing a victim of Albert DeSalvo, better known as the Boston Strangler. While all of the photos are disturbing, none of them originated with the video itself. This should offer a bit of relief to those theorizing that the clip came from a serial killer showcasing his crimes. Another lead also failed to pan out when one Parker Wright, whose name was on one of the accounts that uploaded the video, was mistaken for another Parker Wright. Amateur sleuths had closely watched the Twitter account of Parker J. Wright, expecting it to yield new information. The Daily Dot reached out to him to see if he was involved in the video, but he was just as disturbed by it as everyone else and promptly denied any association with it or its creators. @MikeWehner A bunch of people are tweeting me about it. No I was not involved in that video in any way. Not all leads have led to dead ends. Some serious digging brought confirmation of the location where the video was shot. The derelict building shown in the video is the Zofiówka Sanatorium located in Otwock, Poland. The now-abandoned building was once a mental-health facility. Photoblogger Miniwycieczki captured an image in 2013 from a room in the facility that looks almost identical to the images seen in the video. A more recent photo, which Szary Burek captured in April 2015, also shows the room, and this time it includes all of the subtle details visible in the video clip, including the graffiti that appears as the video progresses. There’s little doubt that this is the building in the video. Given that it is abandoned, it’s impossible to know who might have decided to use it as a backdrop for their unsettling puzzle. The dates of the photos confirm that the video was created sometime between November 2013 and April 2015. The video was first seen online on May 9, 2015. The tech blog that most recently acquired the video, GadgetZZ, said that the disc it received came from Poland, but the uploader of the original YouTube copy, AETBX, maintained that it was found on a park bench in Spain. Hundreds of people continue to investigate new leads and post their findings on Reddit. Update 11:03am CT, Oct. 22: Twitter user @Exen visited the Polish hospital where the video is believed to have been shot and sent the Daily Dot photos from the expedition.